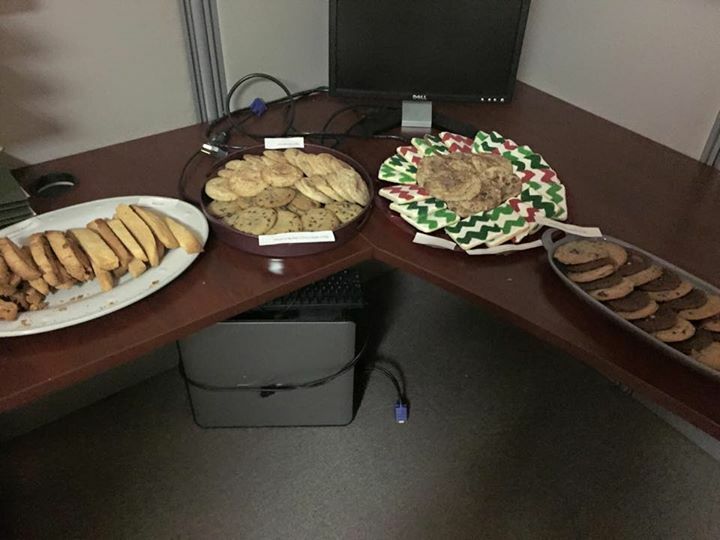 My office does an annual cookie exchange where everyone brings in a few dozen cookies then we go around the conference table merry-go-round style picking up cookies until they’re all gone. There is literally no element of competition to this activity, but I still need to win it. 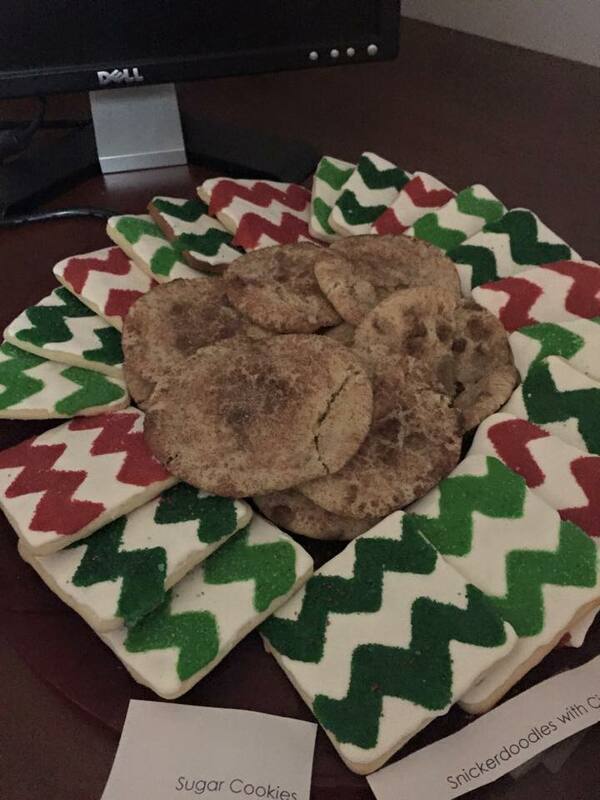 This year, my spread included 8 cookie varieties: Chevron Sugar Cookies, Snickerdoodles with Cinnamon Chips, Snickerdoodles, Chocolate Salted Caramel, Cherry Chocolate Chip, Peanut Butter Chocolate Chip, Anise Biscotti and Almond Pistachio Walnut Biscotti. I was super happy with the Chevron cookies – they looks simple but took a bit of time, but the results of were crisp and modern and, obviously, delicious. I also started a new venture this year: Cookie Parties! Undecorated cookies for decorating with family or at parties. 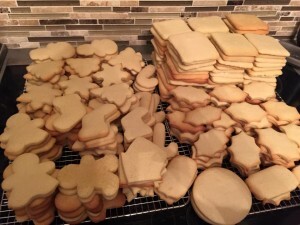 I didn’t realize how many people would be gung-ho for the idea but apparently mixing, rolling, cutting and baking is not as fun as icing and sprinkling, so this is a great option to cut out a lot of work at Christmastime or for an event to make great memories without the mess and hassle. Just check out the cookie pile! And finally, another new venture – the Cookie Wreath! 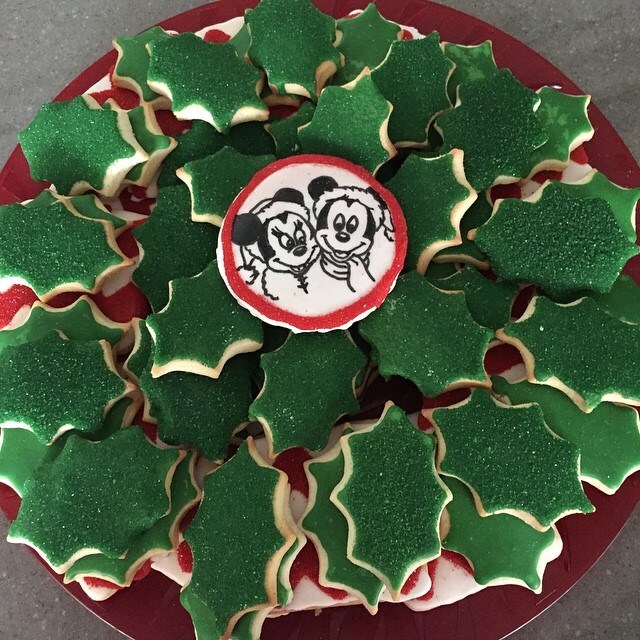 This wreath features green holly outer cookies with a Mickey & Minnie centerpiece cookie, and some of my leftover red chevron cookies were on the bottom. I can’t wait to do more of these next year!